I am a personal wardrobe stylist and I work with highly successful, professional female clients. I help empower women through their appearance. However, in my experience as a stylist, I have seen that one of the most commonly overlooked aspects of appearance is our SMILE. First impressions are formed in less than a few seconds and the first thing others see is your smile. Preventative and restorative dentistry can make sure your smile is an asset. I am speaking from personal experience I am a patient of Dr. Mike and he has helped improve MY first impression. Dr. Mike’s office is always welcoming, accessible and knowledgeable. Both he and his staff put the patient’s needs first, second and third. Dr. Mike and his staff do a comprehensive evaluation extended beyond your gums and teeth. They are interested in your oral health and overall well-being. For example, in addition to restorative techniques, he is an expert on sleep apnea and TMJ, two common problems as we age. I can personally attest to Dr. Mike’s “chairside” manner. He has a confident and gentle way about him that gives you confidence in his recommendations. He does not push for diagnostic procedures that are not germane to my problem. My confidence is further boosted by his state of the art testing equipment. In addition, I feel well cared for as Dr. Mike as had extensive training and continuing dental education. I highly recommend seeing Dr. Firouzian for your dental needs! More reviews from happy patients! Hello Dr. Mike……….As you know, I am a huge proponent of mouth restoration! I sometimes look in the mirror and see my beautiful white teeth (yes, I call them “mine” because I own them (and have the second mortgage on my home to prove it!) Actually, my story is not funny at all….I had struggled for years, with a less than beautiful smile, because during my childhood, parents didn’t have the funds for orthodontics. I began to save money for a specific cause, a few years prior to my retirement. I kept it separate from our regular household money and it was known as “the new car” fund! When retirement day came, I began to study all the new cars available. did not like most of the designs so I simply held off buying one. Seeing an ad on TV for a regular Dental practice triggered an old interest of mine, having my four upper front teeth capped to improve my smile. I decided to get a couple of estimates to see if I could afford cosmetic dentistry. You were on my short list, primarily due to your location, and the friendly voice who answered my first call, as well as a few basic questions. Enter Kathy! Safe to say, I never looked back. After waiting over one hour (and being completely ignored) to even have a consult with ANOTHER practice, I visited your office. NO wait, coffee, magazines, even my coat hung up for me, I knew I was in the right place! Attention to details meant everything in my 30 year career, and was the sole reason I was highly successful in sales and advertising. I wanted that same feeling for my cosmetic procedure. AND, the rest is history……you and your staff provided the best care I could have hoped for and a wonderful end result! If you ever need a little help convincing a patient, I would be very pleased to speak to them! there are thousands of people out there that do not have a clue what this procedure could do for them…..it is virtually painless, and something one can do to improve their life, sometimes dramatically! Also, unlike a new car, whose value goes down every year, cosmetic dentistry continues to “give back” every single day! It is intensely personal, yet on view for all the world to see! Almost a decade after my restoration, a week seldom passes that I don’t receive compliments from others. Even my teenage grandaughter, who gave my picture to her orthodontist with instructions that she wanted her mouth to look “just like my Grandma’s”! Thank you again, Dr. Mike for everything. 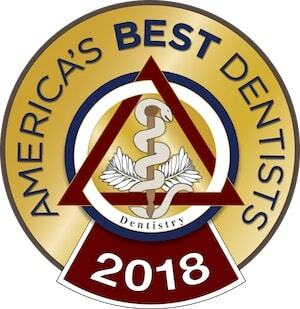 It is always a pleasure to have you and your team of dentistry experts take care of assuring all of my dental needs are met and that any question or potential concerns are equally attended. Know that as a “long-termer” with you and your excellent staff I am 100% satisfied and always delighted…and grateful…for your care, attention, and personal support. There is no better “TEAM” than yours! As always, I was happy to see you during my recent visit and checkup! You are simply the best! From the first moment I entered your practice, so many years ago, to this very day, you always make me feel very comfortable, just like family, in a world where many businesses and companies treat their customers and patrons like an intrusion. I never looked back after committing to the major “renovation” you performed in my mouth! For me, it was a big investment, but one that continues to provide great returns. All the procedures were painless, and the end results speak for themselves. I receive compliments on my smile often and I think of you and your excellent staff each time. May you enjoy many more years of putting smiles on people’s faces. My family and i always have wonderful experiences when visiting your office. Everyone is SO nice, thoughtful and knowledgeable…. at my last visit I was made very comfortable. i was a bit nervous and was helped to feel at ease the whole time!! I was thrilled to know that you treat problems with the same professional and caring level of service and totally back your work and products. I plan to take really good care of my newly restored mouth but it is really nice to know that you guys are right there for me in case some little thing does come up! Thanks so much for your incredible service! As usual, everyone was great! Dr. Mike, et al, have a really GOOD thing going on…….. Complete patient satisfaction………..so rare in this day and age! Thank you all! visit instead of having to come back. Pain free! Thank you for your great work! I love coming in to visit the staff. We are always treated like “Family”. Service & everything was great as usual! You guys are great! You make coming to the dentist office a pleasant experience! Thank you! As always your team was professional, thorough, friendly and patient focused. I know of no other dental/medical organization that is as efficient as you are. The best facility and staff! Everyone with whom I have come in contact with is very professional and extremely kind. One could hardly feel anything but comfortable while visiting your practice. The dental visit was great. It was much better than anything I had ever had before. Thank you very much! You and your staff are excellent. Wonderful service and state of the art equipment makes us very comfortable there. I like the fact that other services are offered, e.g. the device to wear at night that would prevent me biting inside of cheek–and that such recommendations are not “pushed” at me. I could go elsewhere for less expensive services but the care demonstrated by your staff will for sure keep me coming back–even if the inlay isn’t approved. I also get a kick out of all the high tech gadgets being used!! I can’t tell you how wonderful you are to me. I am very fortunate to have found this office. A million and one thank you’s. I have been coming to you for many years now and have constantly referred everyone to you. You always make me feel special and that is important in any service oriented business. I appreciate all of you. Everyone was a pleasure from the moment that I walked into the reception area. I have never felt this comfortable at a dentist. All aspects of my visit were outstanding. I ALWAYS HAVE A GREAT EXPERIENCE WHEN I GO TO MY DENTIST APPOINTMENTS, THE ENTIRE TEAM IS WONDERFUL, THANKS FOR BEING SO GREAT. Dr. Firouzian and staff are an excellent team and deliver excellent service. You guys always go above and beyond what’s expected. To be honest, I’ve always hated going to the dentist….especially after having so many problems with headaches & jaw pain as a result of how rough one dentist was. But, for “going to the dentist”, you make it as good as it can possibly be! ;o) Your team is the kind of team that makes Human Resource & Management type people wonder…..”what is going on there that makes the service so excellent?”….because they want to duplicate whatever is happening in their business. You guys are great! Without exception, everyone, every time treats me courteously and promptly. There has never been a lapse in professional attention and care, or follow-up. You are all amazing–and I love it! Everything was excellent, the environment was calming, and every one was very professional, accommodating and cordial. Altogether it was a pleasant experience. Thanks to all of you! I would like to be charged double for the services I received and would be eternally grateful if you did. Everyone was exceptionally friendly and professional, which I really value. Also, the office was clean and welcoming. You exceeded my expectations!